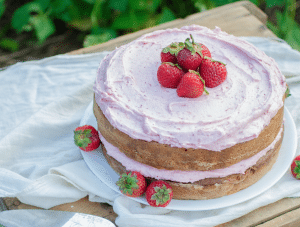 Strawberry Chamomile Cake is a beautiful white cake, moistened with honey-flavored chamomile tea and frosted with pink strawberry-speckled buttercream frosting. It smells amazing and tastes even better! Does that have you looking forward to summer yet? Me too! There are so many reasons why I enjoy the warmer days of the year, but with the summer season coinciding with Strawberry Season, my preference is definitely swayed. There is nothing like freshly picked ripe berries! The scent and flavor of when the berry’s time off the vine can be counted in minutes or hours (definitely no more than a day or so) is incomparable and indescribable. I never even knew I liked berries until I had them ripe & fresh! As in, when Strawberry Shortcake was served I would always generously slather my biscuit with butter and dollop it with a bit of whipped cream (ok, more than a bit…) and “No, thank you,” the strawberries. To do so now is unthinkable. Summer isn’t even possible without Strawberry Shortcake… loaded with fresh, macerated berries. Sometimes, though, the day or celebration calls for something even more special than Shortcake. 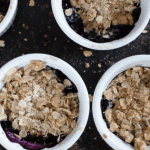 Sometimes you need a dessert that is a little classier than a heap of crumbled biscuit, sloppy sweet berries, and a dollop or two of whipped cream. In that case, Strawberry Chamomile Cake is what you need. It maintains that rustic simplicity, showcasing the best the season has to offer, yet with a sophistication found only in a layer cake. Strawberry Chamomile Cake is a traditional white layer cake, moistened & flavored with a brushing of chamomile tea that makes it taste almost like honey. Beautiful pink and speckled buttercream frosting is made with so with the addition of pureed strawberries. It’s wonderfully, delightfully delicious and smells amazing. Strawberry Chamomile Cake is just one of the 30 market-fresh, seasonally-inspired cakes that you’ll enjoy in my cookbook Cake Stand! If you haven’t checked it out yet, do so! You won’t be sorry and I’m sure that your family will be very pleased with you too! Never baked a cake from scratch? It’s really not much more tricky than a box cake (and yet with way fewer chemicals.) 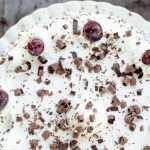 Let me show you how to bake your own cake! 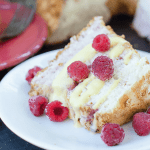 Strawberry Chamomile Cake is a white cake, moistened with honey-flavored chamomile tea and frosted with pink strawberry-speckled buttercream frosting. Prepare 2- 9” round cake pans by greasing them with soft butter and dusting the butter with white flour. Cream the butter and sugar in the bowl of a stand mixer for several minutes until it has a light whipped texture. Occasionally scrape the sides of the bowl. Meanwhile, measure out the flour, baking powder, and salt into a medium bowl and whisk them together. When the butter mixture is done, add the eggs, a few whites at a time, mixing until each addition is incorporated. Scrape the sides of the bowl and mix in the vanilla. Add about a third of the flour mixture, followed by half of the milk, another third of the flour, the rest of the milk, and then the remainder of the flour, mixing each addition for several seconds until they are blended. Scrape the sides and mix the batter for another few seconds. 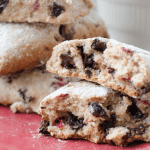 Stir in the diced berries and divide the batter evenly between the two pans and bake for 30-35 minutes. Cool the cakes on a wire rack for about 10 minutes before inverting them and removing the pans. Cool the cakes completely. Prior to frosting, prepare the chamomile syrup by making a cup of chamomile tea. Add the honey and vanilla to the warm tea and allow it to cool. To prepare the frosting, puree the raspberries in a blender. In a stand mixer bowl, using the whisk attachment, whip the butter until it is creamy and light. Sift the powdered sugar in and mix it completely into the butter. Mix in the pureed berries and vanilla. 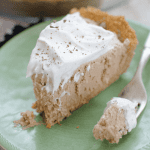 Add just enough milk to get it to the texture you’re looking for and whip it until it is completely incorporated. Generously brush the tops and sides of the cooled cake layers and then frost them with Berry Buttercream. My biggest DIY goal right now is building a w chicken coop! We just moved toa new property and rehoimed the chooks and gave away our old one. The new chicken fortress will be big enough for an ever-expanding flock and secure enough to keep the birds safe from my naughty dogs. But we also have gardening and preserving adventures planned for th summer! My biggest DIY goal this summer involves my garden. I need to plan, execute the plan, and follow through on the plan, all the way to the end. I'm great at starting, not so great at finishing strong, lol. My biggest goat on the farm is to not fail in the garden! I want to seriously limit the trips to the grocery store/farmer’s market by growing the staples better.. onions, carrots, garlic, herbs and potatoes. Yes! This is always one of my goals and thankfully, we do a little better at it each year as we learn the balance of our needs and how much to grow. Hope your garden produces abundantly Kathey! My DIY goal for this summer is to finish a quilt for my grandson. Ooo… what a blessing that will be! I would love to learn to quilt one day. This is what we've been working on too! Down to some finishing touches and we'll be done. Did you happen to check out the post I did earlier this month about "Permaculture Chickens"? Such good stuff there- I learned so much and was so inspired about how to do chickens better & keep the feed costs down. Happy building! My summer DIY is getting my summer kitchen finished so I do not have to do my canning in the house. We built a new out building for my kitchen and my husband's workshop, almost finished! Oh, the list for summer DIY projects never ends! But this year the big one is clearing brush and fencing the front of our property for future cows. Hopefully we can establish good pasture in our sandy soil. My son is helping to build my coop/colony. My goal is to get birds in it ASAP, and rabbits to follow. My biggest DIY goal this summer is growing all the vegetables in our garden from seed. It is looking good so far – now I just have to keep the weeds under control!